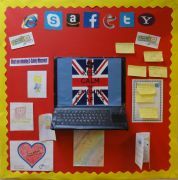 At Castlecombe Primary School, we know the importance of helping to keep our learners safe online. As the digital world continues to develop we have to educate children on the potential dangers they may encounter and what to do if they have worries or concerns linked to online activities. We cover this through: our learning in Computing; assemblies and sessions in class. These links will take you to the CEOPS Think U Know website which offers advice on staying safe online.